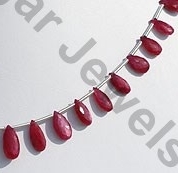 Ruby is one the highly expensive gemstones found in the world. 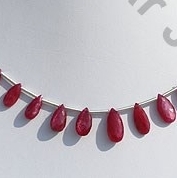 The name of Ruby is generated from the latin world rufus. 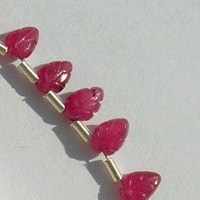 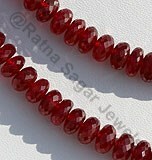 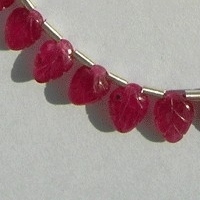 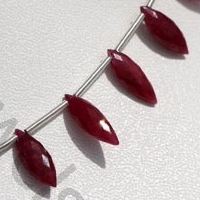 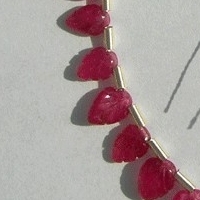 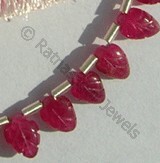 The beauty and charm of Ruby gemstone beads cannot be described in words and can be witnessed only by naked eyes. 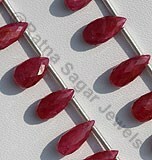 The stone is considered as the birth stone of persons born in month of July and is the zodiac stone of Capricorns. 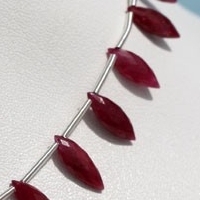 It is considered as the best gift for the couple celebrating 15th and 40th anniversary of their marriage. 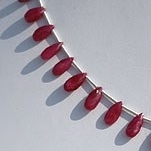 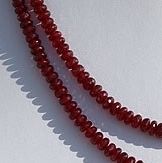 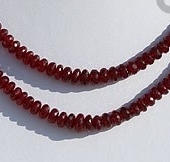 The history of using Ruby gemstone beads dates back to 2500 years back. 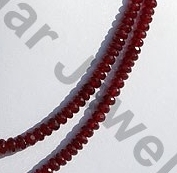 According to historical records the Hindus were so much passionate about the color of ruby that they considered the gemstone as Ratnaraj referring to King of gems. 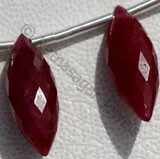 The ancient Hindus believed that the use of Ruby will bless the user with long life. 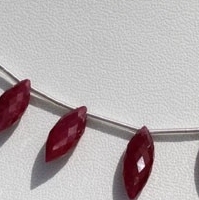 In the earlier days ruby gemstone was worn by the warriors to protect them from the attacks of enemies. 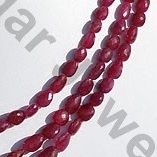 It is believed that if the gemstone is worn on head during the war it reduces the power of enemy. 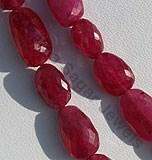 It would be interested to know that the power of Ruby reaches to peak on the night of full moon.